Prime Minister Narendra Modi Saturday said India has jumped 24 positions to rank 57th in Global Innovation Index in a short span of four years, and must break into the top 25 tally soon. 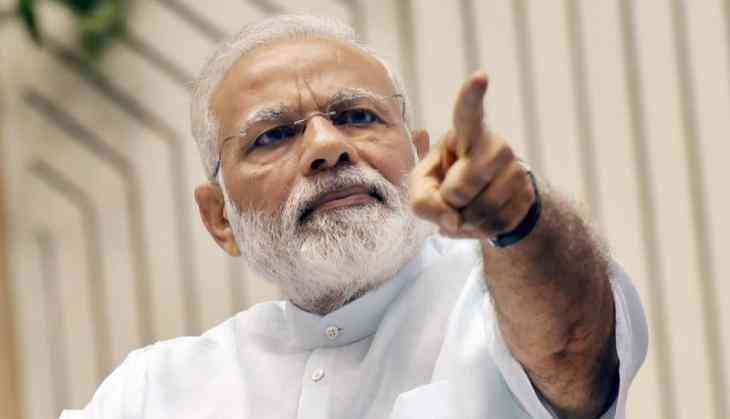 Addressing the Smart India Hackathon 2019, PM Modi said the country today is the world's third largest start-up nation and has cemented its position based on the culture of innovation and entrepreneurship. "Our economy is running on a new track. The new India, on which we are all working, is making its mark in the world through its innovation and start-ups," he said. Noting that India had ranked 81st in the Global Innovation Index in 2014, PM Modi said the country has now jumped 24 notches to the 57th spot. "In terms of the Global Innovation Index, India ranked 57th, whereas in 2014, we were at 81. In four years, we have jumped 24 places. We are in no mood to stop here, very soon we have to reach top 25," he added. During his address, PM Modi suggested that the young participants in the 36-hour hackathon look for technology-driven solutions to tackle issues related to women and child safety. He also urged them to come up with a hyper-local solution to help fruit and vegetable vendors deliver their goods through an online marketplace model. He interacted with college and university students from across the country, who are participating in the hackathon. Some of these students shared their ideas around using tech-led solutions to address problems faced by farmers, differently-abled, students with learning disabilities and malnourished children. PM Modi also gave his suggestions on how those solutions could be strengthened further to solve societal challenges. "Since 2017 when we started this effort, we have expanded it...What started with 30,000 students, this hackathon has now grown to 2 lakh participants...Smart India Hackathon has emerged as the world''s largest national level open innovation model where on one platform, industry, educational institutes, government agencies, professionals and students come together," he said. Smart India Hackathon is a nationwide initiative to provide students a platform to solve problems being faced by people in their daily lives, and to foster a culture of innovation and a mindset of problem solving. Hasn't Apple rolled out a proposal yet for setting up manufacturing facility in India?